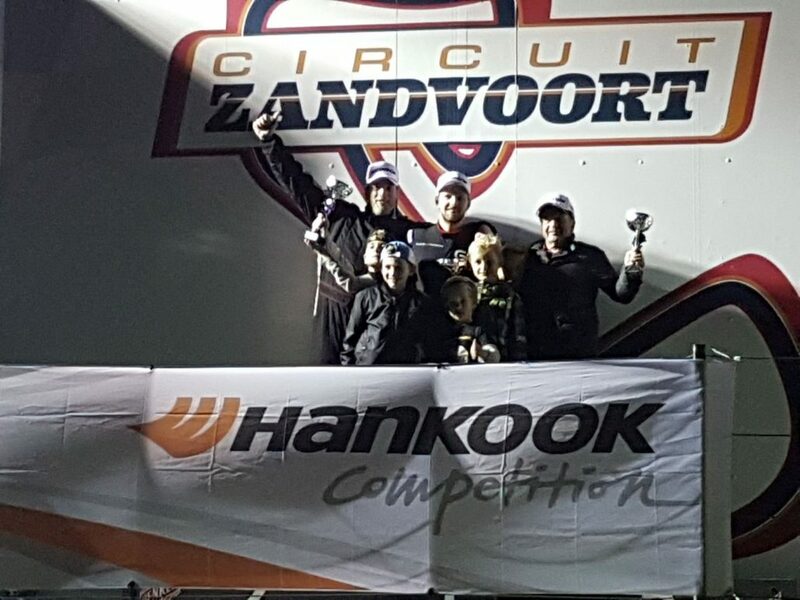 Victory at Zandvoort DRDO Finals! 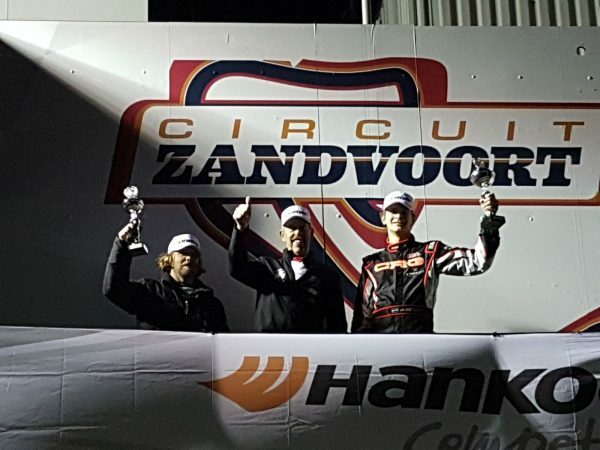 In difficult conditions, wet and dark, Maks van Meever was able to go from 6th position on the grid to P1 after just 2 laps. Most of his advancement was due to a great start in Cor Euser Racing’s Lotus Evora GT4, and with Cor Euser starting from pole in his new BMW M3 DRDO Cup car, it became a battle between the two teammates that Maks elegantly solved without drama and then made the rest of the race look easy as he drove away from the field, taking overall and SP+ class victory and also setting the overall fastest laptime of the race (2:00.600)! Although Cor had started from pole, he was up against fierce competition from the title contenders in the M3 class and indeed some of the other drivers showed very good speed in the wet conditions. Nevertheless, the new car held up well and Cor crossed the finish line as second overall and winner of the M3 class including the fastest race lap of the class (2:01.835). Unfortunately, a 40 seconds post-race time penalty was issued and Cor therefore dropped to third in class. 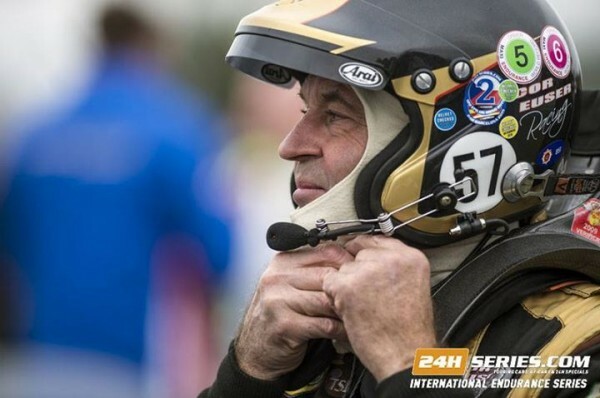 We look forward to seeing Maks continue to win races with us and we are pretty sure Cor will be a contender in the DRDO championship next year! https://www.coreuser.nl/wp-content/uploads/2017/11/WhatsApp-Image-2017-10-31-at-22.34.17.jpeg 1200 1600 Einar Thorsen https://www.coreuser.nl/wp-content/uploads/2015/11/10291726_724081444391635_2881597917355633152_n-600x398.jpg Einar Thorsen2017-10-31 22:29:022017-11-05 11:20:28Victory at Zandvoort DRDO Finals!